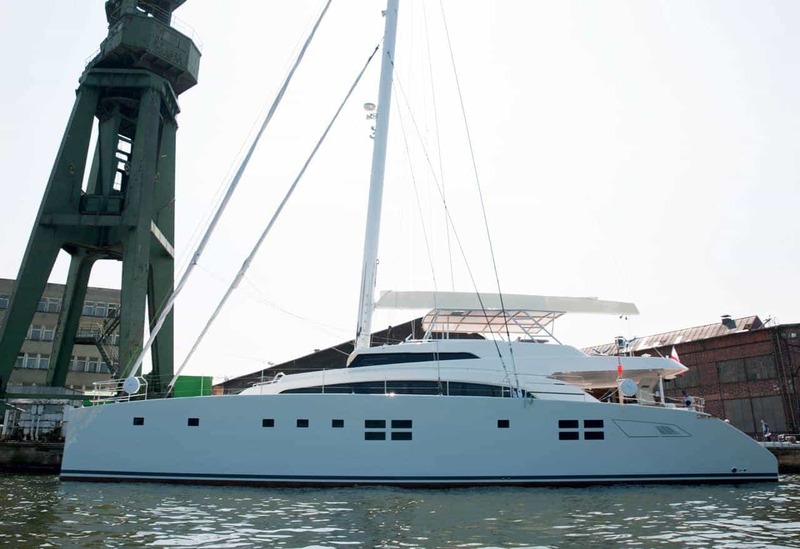 Sunreef Yachts successfully launched the Sunreef 88 Double Deck – a sailing superyacht with an aggressive, sporty look. This custom-built craft demonstrates the shipyard’s expertise and creative approach to multihull design in the range over 80ft. All yachts in the Double Deck range feature a mezzanine level inside the saloon and a spacious master stateroom with a panoramic view in the bow part of the main deck. The innovative composite structure not only conceals generous living spaces but also allows for massive alfresco dining and lounging areas. The Sunreef 88 Double Deck puts the emphasis on luxury, performance and privacy while offering over 300m2 of living space. Her layout, interior design and technical features are entirely customized and adapted to her Owner’s exact expectations. This unique catamaran is Sunreef Yachts’ sixth superyacht construction. After a series of tests and sea trials, the yacht will be on her way to meet her Owner for the maiden cruise.